Since I do not have a personal knowledge of the cuisine, I simply didn’t want to explore or learn new things. I trusted Vaishali to have done all the research!..thank you Vaishali. 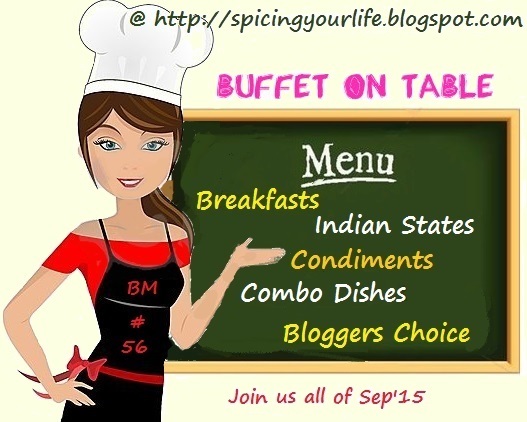 As I said I wanted to have a similar menu and cooked all the dishes that I was yet to make. Awadhi Cuisine from Uttar Pradesh and is known for its rich food. The Cuisine is influenced by the Mughal cooking style and the cuisine has much similarities to Kashmir, Punjab and Hyderabad. Awadhi Menu is very elaborate and quite rich in their dishes. They have the Kormas, Biryanis, their gravies are prepared with nuts and khoyas. 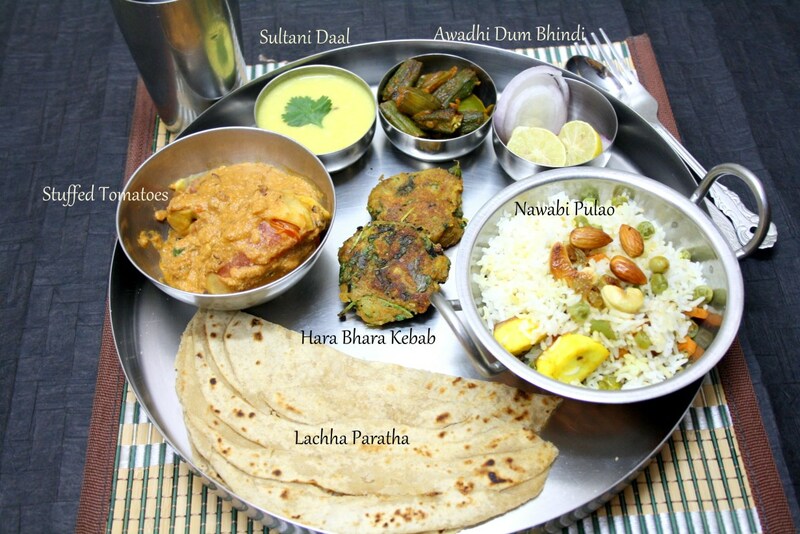 I have put up a menu based on Vaishali‘s Awadhi Thaali. Join me for a Bake around the world in A to Z order! That is a nice spread of Awadhi food. You have put so much efforts in this thali.Would love to eat the nawabi thali anytime. Valli Thanks for that trust ????. The thali is actually elaborate but it looks so good! Kudos on your efforts, with the little time tou had you have made fantastic thalis . Very irresistible Thali, now i feel bad for not making a thali for this week's theme, blame my India trip..Amazed by ur enthu Valli. Nice Awadhi Thali..will try it for sometime. OMG Valli, that is such an amazing Awadhi thali. Everything looks so inviting and delicious. This looks like a beautiful and delicious wholesome meal. I wonder how you all manage to create such wonderful thalis..
Valli when are you making this again Valli? I need to eat it. what a spread – this is a feast I would enjoy for sure – especially since you included something with my fave ingredient -= plantain!